CANADA: The Board of Directors of Metrolinx, operator of North America’s first dedicated airport express rail service UP Express, appointed Phil Verster as its new President and CEO. Over the last 12 years, Mr. Verster has overseen operations and major construction of some of the most complex and customer intensive rail services in England, Scotland and Ireland. Among his most recent assignments as a Managing Director of Britain’s Network Rail have been running Scotland’s railway operations, the ScotRail Alliance, and initiating work on the East West Railway, a new rail line between Oxford and Cambridge. “We’re implementing a $34-billion transit build – the biggest transit investment in Ontario’s history and one of the largest in the world today. We’re quadrupling the number of weekly GO Train trips - from 1,500 to 6,000. We’re electrifying key GO rail lines to provide 15-minute express service all day long throughout the region, and we’re building new LRT lines to tie the region together. We are delighted the Mr. Verster has chosen to join Metrolinx," Rob Prichard, Chairman of the Metrolinx Board said. NIGERIA: The China Civil Engineering Construction Corporation (CCECC) said that the Phase1 of the Abuja Rail Mass Transit project linking Nnamdi Azikiwe International Airport will be ready for commercial operations by the end of the year. The $823 million project consists of 45km rail track and 12 stations connecting the airport, Abuja and the Central Business District. INDIA: Lucknow Metro has received a clearance from the Comission of Metro Railway Safety to start its commercial operations. According to the Managing Director of Lucknow Metro Railway Corporation Kumar Keshav, the metro will open to public use “at any convenient date”. The work for the Lucknow Metro started in September 2014 and the trial run on its priority corridor was conducted on 1st of December 2016. Metro services in Lucknow will start with the 8.5km-long ‘priority corridor’ on the North-South line connecting Chaudhary Charan Singh Airport to Munshipulia, which is also Phase-1A of the project. The total distance of the North-South Corridor is 23km, consisting of 21 stations. The entire stretch of the Phase-1A of the Metro is expected to be completed by 2019. The second phase of the project is the East-West Corridor, stretching from the Charbagh Railway station to Vasantkunj, a distance of 11km. Though included in the Detailed Project Report (DPR) of the Metro, it is yet to get approval. There will be 12 stations on this stretch. MALAYSIA: Public transport operator Prasarana Malaysia Berhad (Prasarana) and the operator of Kuala Lumpur’s airport rail link Express Rail Link Sdn Bhd (ERL) have launched the enhanced KL TravelPass, an integrated transport ticket for rail travel network in Kuala Lumpur. The KL TravelPass was developed to target the untapped inbound travellers visiting Kuala Lumpur, similar to the Oyster Card in London and Octopus Card in Hong Kong. KL TravelPass is an integrated transport card that comes with a KLIA Ekspres airport transfer (available one-way or return) and 2-day unlimited rides on Rapid KL rail services (LRT, MRT and KL Monorail lines). The card is priced at RM70 for single trip and RM115 for return trips and is available for sale at KLIA Ekspres Ticket Counters in KLIA, KLIA2 and Departure Hall, KL Sentral. 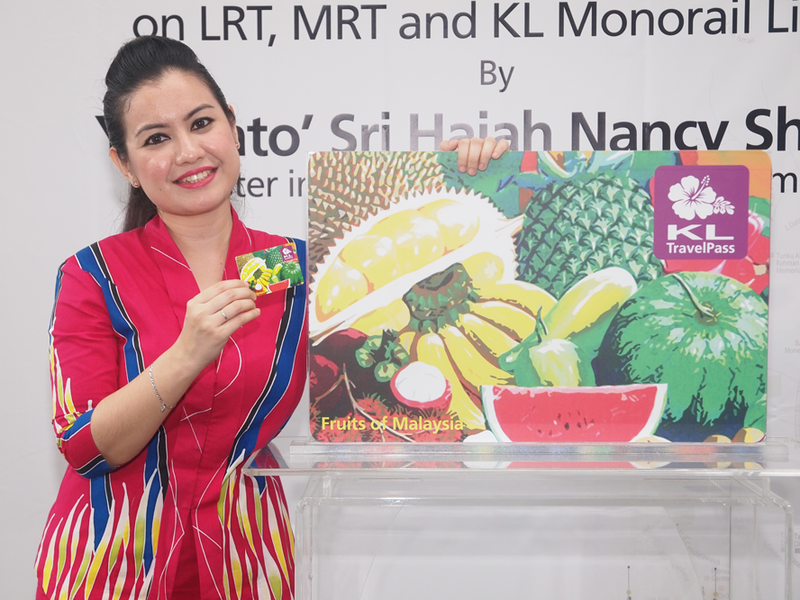 Travelers also have the option to add cash value to the KL TravelPass to access extended benefits of travelling on Rapid KL buses and KTM Komuter rail services. ERL plans to further improve the KL TravelPass in the future by including other transport providers. The collaboration between Prasarana and ERL was a result of a recent Ridership Workshop among rail operators to encourage the public to use the rail network and increase passenger ridership. The Government aims to achieve a 40% modal share on public transportation by 2030. NEW ZEALAND: Greater Auckland, an independent volunteer-run analysis and advocacy platform, has released a Congestion Free Network 2 (CFN2) plan to improve transport in Auckland. “Auckland needs and deserves a bold transport vision. We need a realistic alternative to get around that is fast, reliable and attractive. We need a network free from congestion, a Congestion Free Network,” the group said in a press announcement. CFN2 builds on the original Congestion Free Network launched in July 2013, most of which has been adopted by both Auckland Council and Central Government, through the Auckland Transport Alignment Project. CFN2 has seven key routes: two light-rail, two heavy-rail, three bus rapid transit (BRT), and three enhanced bus routes. New and improved light rail lines connecting the North Shore, Northwest, the Isthmus and the airport have been identified as key strategic routes. 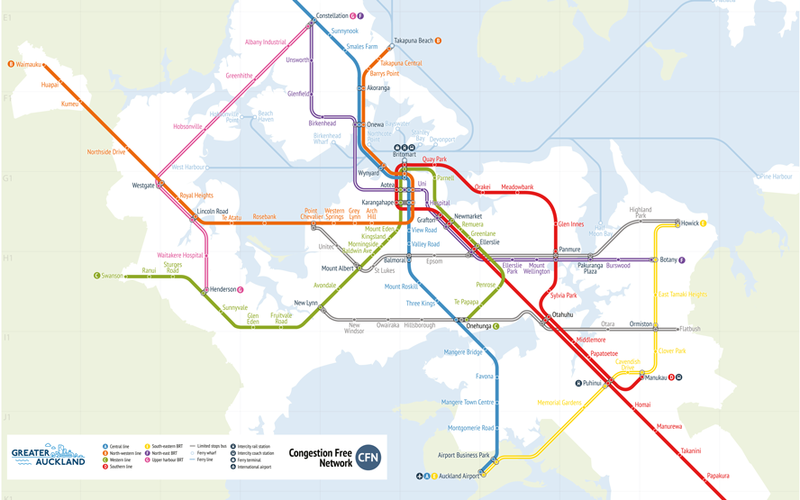 A Central Line forms a spine for Auckland’s public transport system, running from Orewa in the north to the Airport in the south. The line would operate 66 meter long vehicles, carrying up to 500 people each and travelling at up to 110 km/h when possible. The cost for the light rail line (Isthmus - Airport) is estimated at $1.15 billion. E. South-Eastern BRT line connects the Airport with Puhinui (to link with the rail network), Manukau, Flat Bush and Botany. It provides a fast route to the Airport for people living in south and southeast Auckland and supports the growing metropolitan centre of Manukau. The cost for this line (Airport - Botany - Howick) is estimated at $444 million. According to the Greater Auckland, the focus now is to make CFN2 happen, which means working with the Central Government with the Auckland Council and Auckland Transport playing key roles in the decision making process. 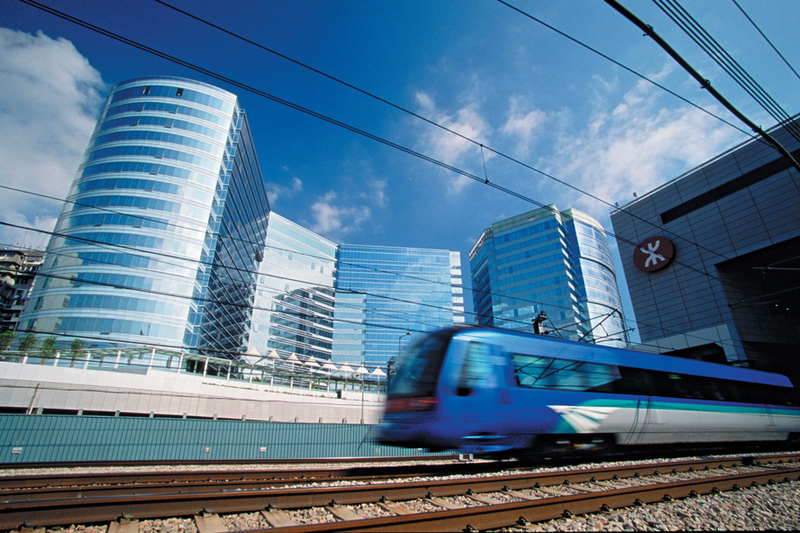 HONG KONG: MTR Corporation has released interim results for the half year ending 30 June 2017, showing a 2.7% patronage increase on the Airport Express Line. HK Airport Express Line has carried 8 million passengers during the first half of this year, compared to 7.8 million passengers carried during the same period last year. Average daily ridership on the AEL is 44.2 thousand passengers. MTR’s overall share of the franchised public transport market in Hong Kong in the first five months of 2017 was 48.8%, compared to 48.3% in the corresponding period of 2016. Competition from other modes of transport saw the market share to and from the airport declined from 21.4% to 21.3%. The half year interim results also show fare revenue increase of 3.5% for HK Airport Express Line, earning the company $HK 503 million this year so far. Fare revenue growth was supported by adjustments to fares, as well as patronage increase. Fares on the Airport Express were raised by an average of 9.6% commencing on 18th June 2017. This is the first adjustment to fares on the line since its opening in 1998. Announced in 2016, Rail Gen 2.0 is a major programme to enhance the experience of travelling on MTR in the context of an extended “next generation” of railway services for Hong Kong. It comprises new rail projects, major upgrades and replacements to the existing rail network and an enhanced customer experience. Major upgrades and replacements of infrastructure and facilities include new trains and Light Rail vehicles, replacement of signalling systems and chiller systems, and major interfacing works at stations. The existing signalling systems on the Island, Kwun Tong, Tsuen Wan, Tseung Kwan O, Tung Chung and Disneyland Resort lines, as well as the Airport Express are being replaced at a total cost of HK$3.3 billion. UK: Heathrow Express is the UK’s joint top performer in the latest National Rail Passenger Survey, achieving its best ever overall satisfaction score of 97%. 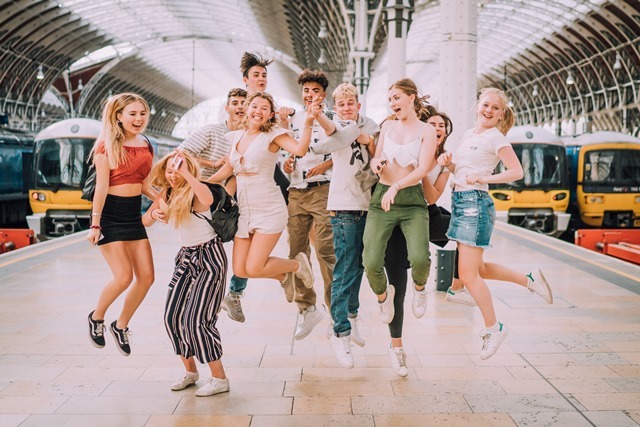 The National Rail Passenger Survey gathers the opinions of UK train passengers twice a year, and Heathrow Express has also outperformed other train companies in London and the South East, where the average overall satisfaction score was 82%. The survey states that punctuality/reliability has the biggest impact on overall satisfaction, and Heathrow Express scored 96% in that category – 19% more than counterparts in London and the South East. The service, which carries 16,000 people a day between London and Heathrow with a journey time of 15 minutes, also scored 96% in length of time the journey was scheduled to take (speed). The attitudes and helpfulness of staff at the station has scored 90%, up 4% year-on-year, and availability of staff at the station has gone up 10% to 87%. Heathrow Express has been scored 52% in the value for money category, an 11% improvement on the same period last year and 9% higher than any other operator in London and the South East. This reflects the views of customers who are taking advantage of the advanced purchase fares available online which were introduced last year (starting at £5.50) and a new £15 fare which customers can buy on the day, on Saturdays. AUSTRALIA: The Federal Government has approved Gold Coast Airport Master Plan 2017 providing a guide to the development of airport facilities, infrastructure and land uses to meet the future requirements of the aviation industry. Gold Coast Airport (GCA) is Australia’s fastest growing airport, forecasting to serve 16.6 million passengers by 2037. By 2037, GCA is forecast to have 16.6 million passenger movements annually (13.5 million domestic and 3.1 million international passengers). “The Master Plan is particularly focused on growth in new aviation infrastructure and commercial facilities over the next 5 years including the continued expansion of the terminal and additional aircraft parking stands,” GCA Chief Operating Officer Marion Charlton said. “Master planning for the airport has also taken into account the future introduction of heavy and light rail facilities. Whilst this is a medium to long term prospect, planning has occurred to ensure that future stations are highly accessible within the terminal precinct. The Master Plan also has provision for a high quality hotel development. The approval of the GCA Master Plan does not authorise any major development on the airport. Such developments require additional community consultation and approval by the Federal Government through the Major Development Plan process. USA: JetBlue released a Request for Qualifications (RFQ) for the development of a terminal at New York’s JFK Airport. 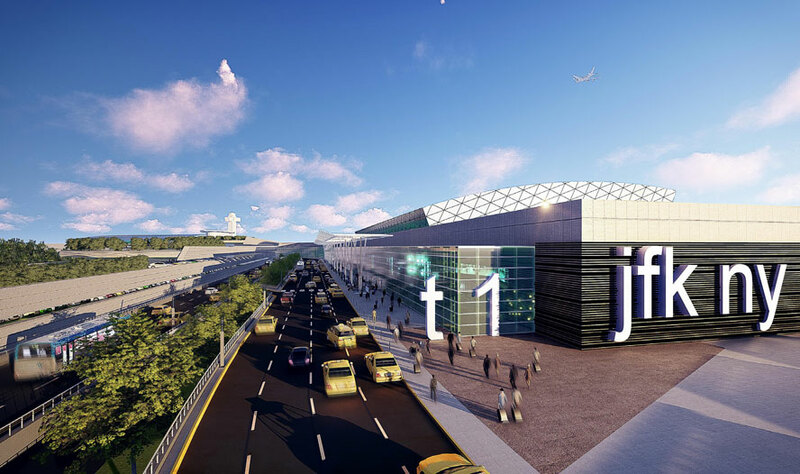 In coordination with the Port Authority of New York and New Jersey’s master plan process, JetBlue is seeking to lead the development of the former Terminal 6 site and potentially the Terminal 7 site. JetBlue will identify innovative development opportunities that meet the needs of travellers in the New York region. The project would accommodate increases in customer traffic in the airline’s largest focus city, enhance and facilitate codesharing and interline agreements, and open the door to new value-enhancing partnership opportunities. CAMBODIA: Minister of Transport Sun Chanthol has announce that Phnom Penh Airport Rail Line is set to open in April 2018. The project involved building a 1.5km extension to the airport from the existing railway track. UK: The Government has published the consultation for the next East Midlands rail line franchise, will deliver reduced journey times for intercity services and more seats for long distance passengers at peak hours, as well as dedicated services and more capacity for commuters coming into London. The East Midlands franchise serves the heart of England – linking cities and towns such as London, Luton Airport, Sheffield, Nottingham, Leicester, Lincoln and Derby. The franchise offers 470 services each weekday and provides 26 million passenger journeys each year. Currently, East Midlands Trains provides one train an hour to and from London St Pancras that calls at Luton Airport Parkway. This is in addition to the six trains per hour provided by Thameslink. East Midlands services take 20 minutes to Luton Airport Parkway, while the fastest Thameslink service takes 33 minutes. According to the consultation document, at the eastern end of the route, options might exist to provide direct services between Nottingham and a wider range of stations in East Anglia, such as Cambridge and Stansted Airport. Some options could also result in changes to the destinations served by the existing Birmingham to Stansted Airport service currently operated by the Cross Country franchise. The responses should be submitted to the DfT by 11 October 2017. 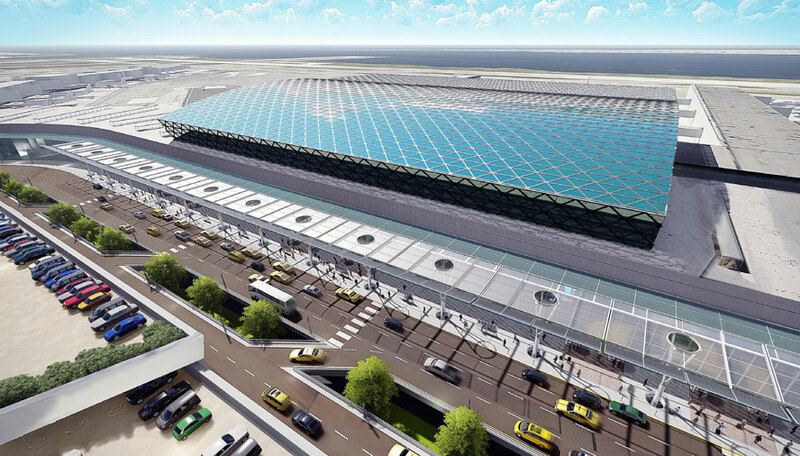 USA: The Port Authority of New York and New Jersey (PANYNJ) has launched a Request for Proposals (RFP) for preliminary engineering and design for the $10 billion redevelopment of John F. Kennedy International Airport. "JFK International Airport is an international gateway to New York and a powerful economic engine with the potential to grow even stronger," NY Governor Andrew Cuomo said. "By enhancing capacity, improving access and creating a unified framework for one of the nation's largest international airports, the new JFK Airport will be a centre of economic activity and a world-class airport of the calibre that New York deserves." The RFP is complemented by $1.5 billion in new State commitments for improvements to the Van Wyck Expressway and Kew Gardens Interchange that will improve access to the airport and reduce congestion. Phases I and II of the project at the Kew Gardens Interchange in central Queens are complete. These two critical steps will facilitate the transformation of JFK Airport into a unified, world-class airport to meet the demands of the 21st century and accommodate the dramatic growth expected in traveller demand. The Governor's plan will transform JFK into a unified, interconnected, world-class airport, improve road access to the airport and expand rail mass transit to meet projected passenger growth, while providing world class customer service. Increase the capacity from two to four cars per train and increase its frequency. These changes would allow the AirTrain to roughly double its capacity and handle more than 40 million passengers annually. Improve the east of connection from the Subway or LIRR by top-to-bottom rebuild of interconnections at Jamaica and Sutphin Blvd - Completely overhaul the subway and Long Island Railroad connection to the JFK AirTrain. These improvements would include essential modern amenities such as high-performance elevators and escalators, charging stations and expanded walkways. A modernized mezzanine will create simpler navigation and smoother transfers to the AirTrain including improved wayfinding and LED flight status screens. JFK is one of the only major airports in the world that does not offer travellers a one seat ride from its city centre. Therefore, the panel recommends that the MTA and its partners jointly explore the feasibility of a one-seat ride to JFK. USA: The Los Angeles Board of Airport Commissioners (BOAC) has authorized Los Angeles World Airports (LAWA) to issue a Request for Proposals (RFP) for the Automated People Mover (APM) train at Los Angeles International Airport (LAX). 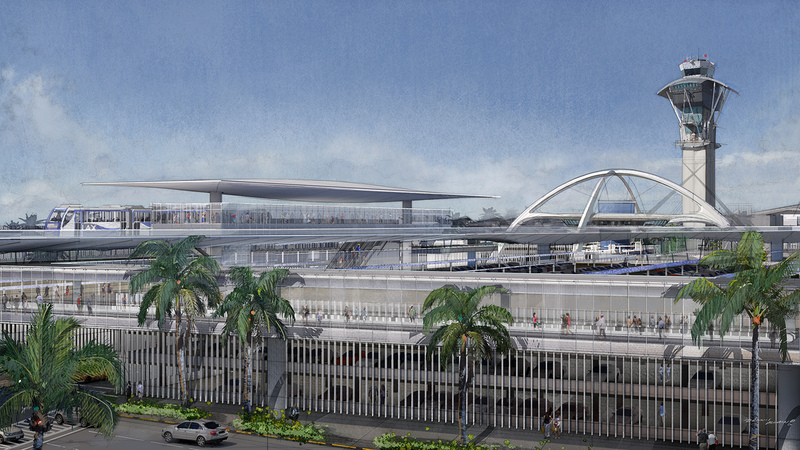 The RFP for the APM is one component of the larger $5.5 billion Landside Access Modernization Program (LAMP), which is designed to reduce traffic at the airport by adding a train into the Central Terminal Area (CTA) that connects to Los Angeles Metro’s light rail system, a consolidated rental car (ConRAC) facility, and additional parking structures with new areas for picking up and dropping off passengers. The LAMP project consists of five major components: the APM, the ConRAC, two Intermodal Transportation Facilities (ITF East and West), and roadway improvements throughout the LAX area. The APM will be a be an elevated electric powered train with six stations along the 2.25 mile alignment (three inside the CTA and three outside the CTA), connecting travellers and employees to light rail, regional buses, parking and terminals. APM stations within the CTA will connect to the terminals via pedestrian bridges with moving walkways. The ConRAC will eliminate the need for rental car shuttles/buses to enter the CTA. This will decrease traffic congestion and free up curb space by bringing 23 rental car companies, currently scattered across the airport area, in one facility. Passengers will be dropped off at the ConRAC by the APM. Both the East and West ITFs will serve airport users with two locations outside the CTA. The ITFs will provide parking and curb space to pick-up and drop-off passengers and will connect passengers to the CTA via the APM. The ITF East station will connect to the Metro Green and Crenshaw Rail Lines via a new station being built by Metro. Streets will be improved in and around the project area to provide access to the new facilities. The RFP is the last step in a three-part solicitation process. LAWA previously conducted two separate Request for Qualifications (RFQ) processes to identify firms capable of supplying both the APM operating systems and the fixed facilities. After the two lists were established, the eligible developers and operators were free to team up to jointly deliver the APM as an integrated team. Of the initial shortlisted developers and operators, three integrated teams remain. Scoring for this project is based on technical qualifications, visual appeal, and user experience. The evaluation criteria were developed to ensure a fair and transparent procurement that maximizes private sector creativity and innovation. Public agencies across the country are utilizing the P3 project delivery DBFOM model to build large infrastructure projects because it allows projects to benefit from the experience, efficiency, and resources of private sector partners. A private partner can accelerate project delivery with innovative ideas and by providing initial investment in exchange for annual payments for the contract duration. The RFP is scheduled to be released to the integrated teams at the end of July. Technical bids for the APM will be due in November 2017 and proposers whose technical bids meet minimum criteria will submit financial proposals in December 2017. A contract is expected to be awarded by early 2018. The APM is anticipated to be operational in 2023. More information about LAMP is available by visiting www.connectinglax.com. UK: A planning permission was granted for a new fully automated £200 million mass passenger transit (MPT) linking London Luton Airport (LLA) terminal with Luton Airport Parkway station. The 24-hour, 1.4-mile line will replace the existing shuttle bus service and is expected to enter operation in 2021. To make the most of the MPT link, LLA is also calling on the government to introduce an express-style rail service offering at least four trains per hour to central London as part of the refranchising of the East Midlands rail line later this year. Introducing an express-style service will not only dramatically improve the experience for passengers, but also contribute an additional £100 million in revenue to government and the rail franchisee. It is also expected to take over 70,000 cars per year off the M1 and reduce CO2 emissions by 500 tonnes per year by encouraging more people to travel to the airport by public transport. “The new MPT rail link is a major milestone in the airport’s transformation. Passengers will soon enjoy a seamless transfer between Luton Airport Parkway station and the terminal. LLA will be faster to reach from central London than both Gatwick and Stansted. But we want to go further. LLA is the fastest growing major airport in the UK, yet it is the only London airport without an express-style service. An improved rail service, in conjunction with the new MPT link, will improve the experience for passengers, deliver significant environmental benefits for local communities and accelerate economic growth across the region,” Nick Barton, CEO of LLA, said. Over 1.5 million passengers chose to travel through London Luton Airport (LLA) last month, representing a 6.2% increase compared to June 2016 and LLA has now recorded 39 consecutive months of passenger growth. To meet rapidly rising demand, the airport is delivering the biggest investment programme in its history and increasing capacity by 50%. UK: Doncaster Council, Sheffield City Region Local Enterprise Partnership and Doncaster Sheffield Airport have taken the next step in exploring the potential of connecting the airport to the East Coast Mainline to provide a station. A study has been commissioned to determine the feasibility and strategic business case for a potential rail link and will be awarded through a competitive bidding process. The study is hoped to be completed by the end of the year. 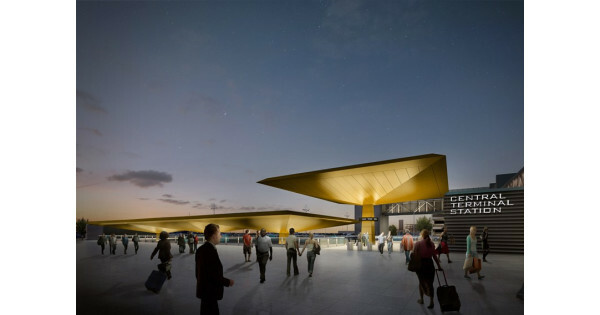 The airport has also unveiled early design concepts for the station which could serve the next major international airport for the UK in the North. An airport station off the East Coast Mainline could be a major economic boost for Yorkshire and the Sheffield City Region, having a transformational effect beyond the airport site as a catalyst for encouraging investment, providing new jobs and support the growing innovation district at the airport’s 1,600 acre site, known as Aero Centre Yorkshire. The station could also serve local communities and businesses in the vicinity such as the rapidly expanding Yorkshire Wildlife Park and other forthcoming new leisure attractions such as the European Tour backed golf course at Rossington. Ros Jones, mayor of Doncaster said: “Doncaster Sheffield Airport is a huge asset for Doncaster, the Sheffield City Region, Yorkshire and the North and we are committed to making it a big success. “The opening of Great Yorkshire Way created exceptional links between the airport and the motorway network and has helped them achieve incredible growth. This shows if you have a forward thinking vision to deliver important infrastructure projects they can have a real economic impact. Steve Gill, chief executive of Doncaster Sheffield Airport said: “Doncaster Sheffield Airport is one of few regional airport sites in the UK which offers unconstrained physical and airspace capacity with the existing runway able to accommodate a throughput of 25 million passengers per annum, providing an international gateway serving the east side of the country. 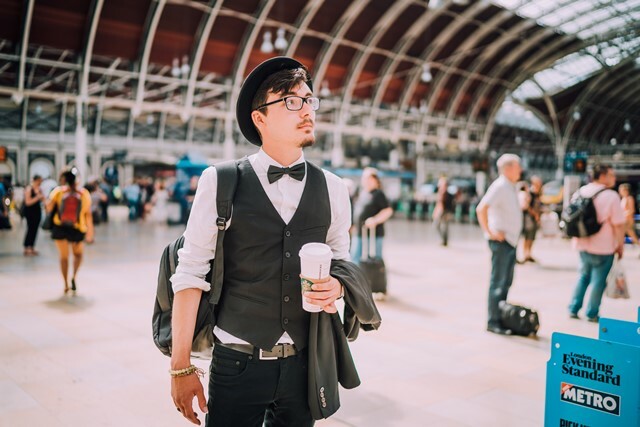 An airport station could mean London is less than 80 minutes train travel away, and in many places quicker than travelling across to Heathrow or Gatwick on already congested routes. The proposal could also support boosting international trade, deliver improved regional connectivity and contribute towards government strategy to rebalance the economy. “The proposal for the airport station shows how a quicker, more affordable and sustainable solution in the North can deliver much needed future UK aviation capacity for passengers and cargo, complementing planned investment in South East airports. 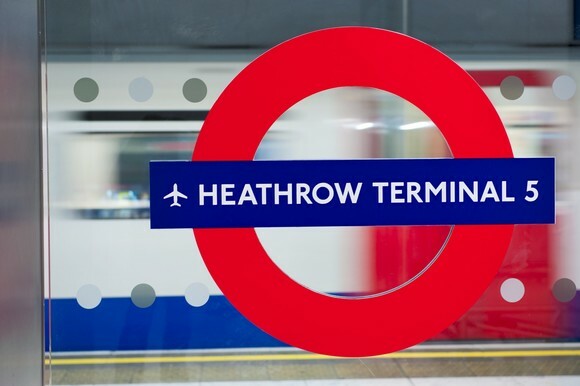 UK: Heathrow, Transport for London (TfL) and the Department for Transport (DfT) have agreed a commitment to boost integrated rail connectivity to the airport, including the addition of two new Elizabeth line trains per hour serving Terminal 5 from December 2019. Under the plan, services to Heathrow will increase from 18 trains per hour today to at least 22 trains per hour in 2019, of which six will be on the Elizabeth line. A train will depart Central London to Heathrow on average every two-and-a-half minutes – including two Elizabeth line trains per hour to Terminal 5. Journey times to Heathrow from Bond Street will be 27 minutes, Liverpool Street 35 minutes and Canary Wharf will be only 39 minutes away on a direct train. There is also an ambition to add further services in the future. A joint feasibility study is underway to look at delivering a further two Elizabeth line trains per hour to Terminal 5 meaning eight Elizabeth line trains per hour serving Heathrow, as well as additional work on developing western rail access to Heathrow. “This agreement is a big step forward. Together Heathrow, TfL and the DfT are working together to boost rail connections to the UK’s hub, giving our passengers more choices to travel sustainably between Heathrow and London. With 22 trains per hour, an ambition to add even more services and easy to use Oyster and Contactless ticketing, Heathrow will be at the heart of an integrated transport network and our passengers will reap the benefits,” Heathrow CEO John Holland-Kaye said. An interchange at Old Oak Common will connect High Speed 2 to Heathrow via the Elizabeth line in under 20 minutes, from 2026. Four Heathrow Express services from Paddington will continue to run every 15 minutes offering a fast 15-minute connection between Heathrow and central London. From May 2018, new ticket readers will be installed at Heathrow, meaning passengers using Heathrow Express and TfL Rail between Paddington and Heathrow will be able to use pay as you go Oyster or a contactless device. The new ways to pay for journeys to the airport will mean more convenience and flexibility for passengers. Passengers travelling on the Heathrow Express will benefit from easier on-the-day ticketing and can still purchase tickets in advance online from as little as £5.50. The initiative will support Heathrow’s plans to ensure that half of all journeys to and from the airport are by electric or low emission public transport by 2030. “We have been working with Heathrow on how we can deliver the best services for customers to and from the airport. It is great news that we can now confirm that the Elizabeth line will serve all the Terminals,” Mike Brown, London’s Transport Commissioner said. USA: Port Authority Of New York And New Jersey has issued a Request for Information (RFI) for the proposed LaGuardia Airtrain system, vehicles and system technology. The Port Authority is seeking information from firms that manufacture rail vehicles and rail vehicle components for automated people movers, metro or light rail technologies. According to the RFI, the Port Authority may use this information to help inform next steps for the proposed AirTrain system at LaGuardia Airport. As part of the redevelopment of LGA, the Port Authority is considering the development of a new AirTrain automated rail transportation system (LGA AirTrain) from the Airport to Willets Point, Queens. The proposed LGA AirTrain system would serve air travellers, airport employees, and others having airport-related business, operating between LGA and Willets Point, with connections to the Long Island Rail Road (Port Washington Branch) and the Willets Point-Mets Station of the Metropolitan Transportation Authority’s New York City Transit Flushing subway line (7 train). 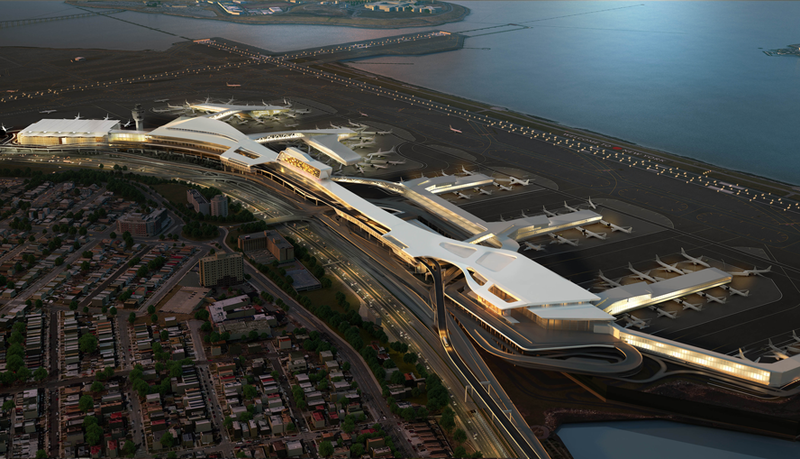 The proposed LGA AirTrain system would also serve as an on-airport transit system to accommodate current growth and the redevelopment of the Airport’s Central Terminal Building (Terminal B), and the redevelopment of Delta Airlines’ Terminals C and D, while not precluding a possible future expansion to Terminal A. The Port Authority is currently conducting planning and feasibility studies of the proposed LGA AirTrain system, including the development of conceptual alignments, ridership forecasts, geotechnical investigation, analysis of traffic impacts, technology assessment and financial feasibility. EVENTS: The Global AirRail Alliance (GARA), an organization promoting rail access to airports, and the Airport Regions Conference (ARC), an association of regional and local authorities across Europe with an international airport situated within or near its territory, have partnered joining the 8th Global AirRail Conference and Awards and ARC’s annual meeting into a three day event. Day 2 – 14 November 2017 - will see joined GARA and ARC conference sessions and discussions, focusing on wider airport access issues. Global AirRail Awards will take place on Day 2. Day 3 – 15 November 2017 - will be dedicated to ARC meetings and discussions, focusing on regional policies. We are looking for “outside the box” thinking when delivering major air-rail and airport access projects, examples of collaboration and partnerships, forward thinking and new technology implementation. Please note that all presentations will be 10 minute long, to keep it focused and engaging. We are also open to any other suggestions that do not fit in the four categories. UK: Heathrow Express has carried 100 million passengers since the service opened in 1998. To mark the occasion the operator has launched a pop-up photo Hexibition at Paddington Station. The exhibition celebrates the diverse groups of customers and colleagues who travel on and work at HEx. 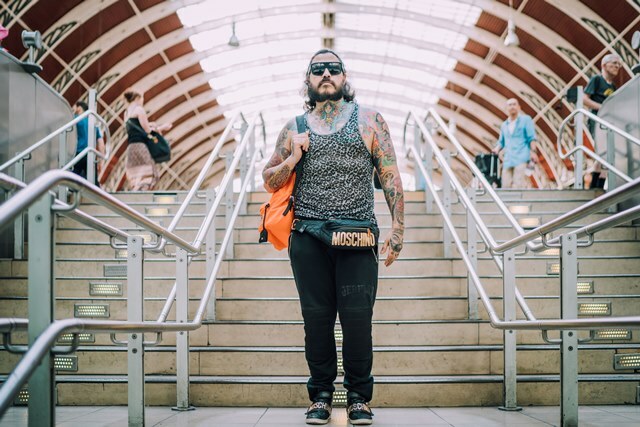 The company has collaborated with a travel blogger, Dave Burt from the @London Instagram account (2.1m followers), who has taken the photos. The Hexibition will be up from Wed 28th - Tues 4 July – see it near platforms 6&7, next to Upper Crust in the station.